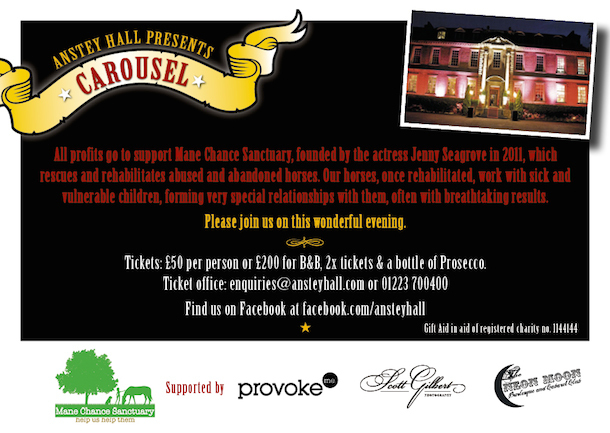 We are have been invited to a burlesque charity event this Saturday 11th October to raise money for the actress Jenny Seagroves charity, Mane Chance at Anstey Hall. Mane Chance rescues abused and abandoned horses, rehabilitates them and then uses them to ride and form relationships with terminally ill and disabled children. 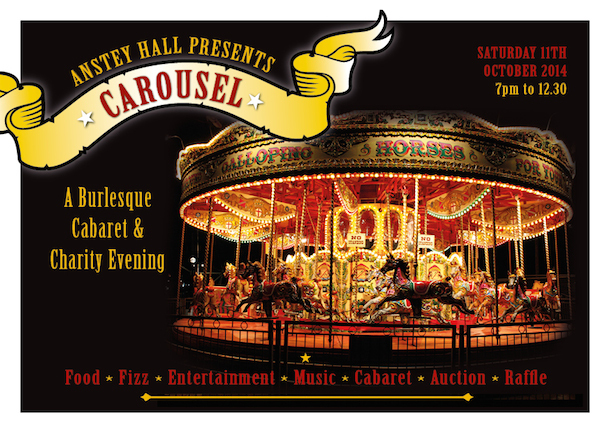 Theres a handful of tickets left if you can’t resist good food, cheeky entertainment and of course to support our four legged friends.